The planet Mercury, the closet planet to our Sun, is something of an exercise in extremes. It's days last longer than it's years and at any given time, it's sun-facing side is scorching hot while its dark side is freezing cold. It is also one of the least understood planets in our solar system. While it is a terrestrial (i.e. rocky) planet like Earth, Venus and Mars, it has a significantly higher iron-to-rock ratio than the others. For decades, the most widely-accepted theory for this was that Mercury experienced a massive impact in the past which caused the planet to shed much of its rocky mantle. 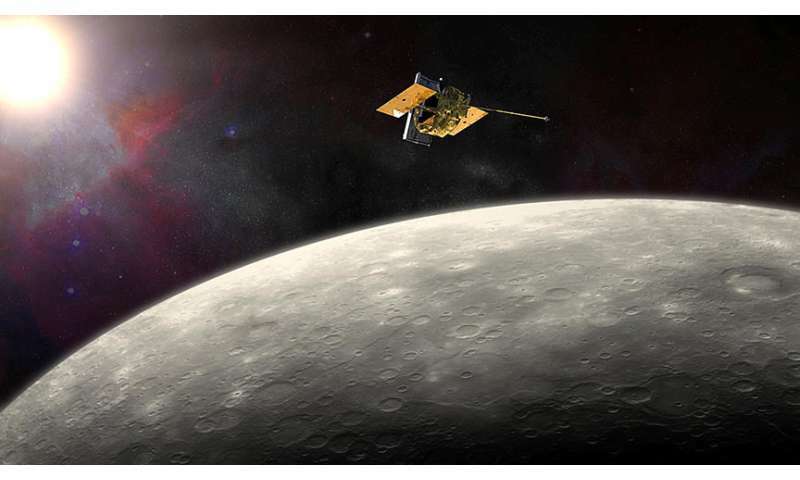 However, according to a new study by a team of scientists from the Center for Theoretical Astrophysics and Cosmology (CTAC) at the University of Zurich, Mercury's mysterious nature may actually be the result of multiple collisions with giant objects. For the sake of their study, titled "Forming Mercury by Giant Impacts," team leader Alice Chau and her colleagues (all of whom are members with the Institute for Computational Science at the CTAC) considered the various reasons for why Mercury has the density and iron-to-rock ratio that it does. In the end, they considered all the possible scenarios to determine which was the most likely one. To break it down, Mercury has remained something of a mystery to astronomers because of its much more metallic than its neighbors. Much like Earth, Venus and Mars, Mercury is a terrestrial planet, meaning that it is composed of silicate minerals and metals that are differentiated into an iron core and silicate mantle and crust. But unlike the other rocky planets of the solar system, iron makes up a disproportionately large amount of the planet. Either Mercury acquired its large iron core from the beginning on, in the solar nebula/disk. Close to the Sun some mechanisms might have been more efficient to separate metals and rocks (because of their different condensation temperature, or conductive properties, or their balance between drag force and gravity), which would drift more metals inward and rocks outward. 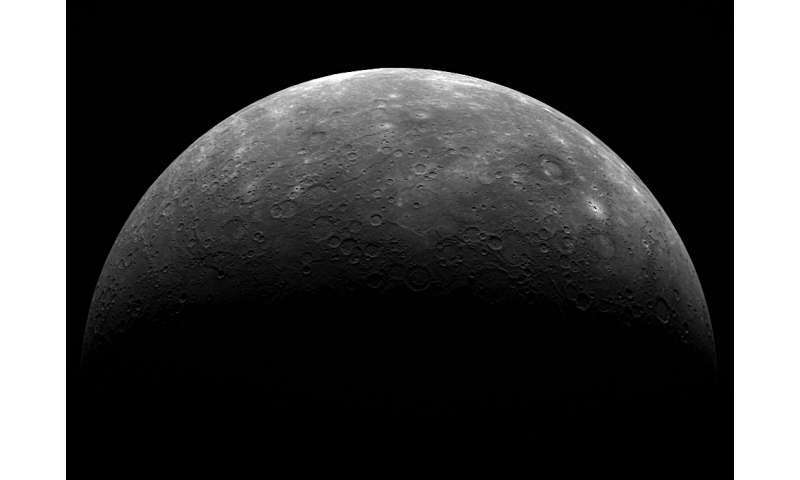 Mercury would then form at a location more metal-rich than in the rest of the disk. ii) or it formed a core similar in mass ratio than the other terrestrial planets but lost part of its mantle in the late stages of its formation, like in a giant impact or by evaporation (and the vapor mantle would be blown away by solar winds)." The second possibility, where Mercury lost much of its mantle due to evaporation or a massive impact, remains the most widely-accepted among the scientific community. Building on this, Chau and her colleagues studied standard collision parameters (impact velocity, mass ratio, impact parameter) and considered what an impactor's likely composition would be, as well as how the cooling of Mercury afterwards would play a role. A single giant impact or hit-and-run impact require a highly tuned impact parameter and velocity to reproduce Mercury's mass and iron mass fraction. There is a somewhat larger parameter space of possibilities in the hit-and-run scenario. The impactor's composition affects the resulting final mass and post-impact iron distribution. The pre-impact state of the target affects the resulting final mass. A multiple-collision scenario escapes the fine-tuning of the geometrical parameters but is constrained by the timing and by the volatile-rich composition of Mercury's surface. Forming Mercury by giant impacts is feasible but difficult. In short, they found that it is possible that both scenarios could account for Mercury's high iron-to-rock ration, but that the odds of them having happened are not great. This is supported, according to Chau, by the fact that few Mercury-analog exoplanets have been found. In this respect, whatever caused Mercury to become the way it is may be a relatively rare event as far as the evolution of star systems are concerned. 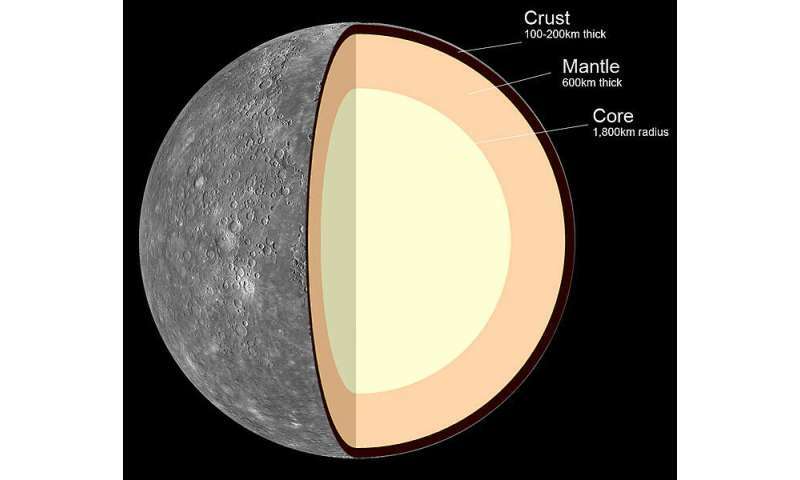 "Our study isn't the first one to propose giant impacts to explain Mercury's large iron core, but confirms that we need rather specific conditions for giant impacts," said Chau. "It seems that forming Mercury is difficult. In another sense, this is reassuring because we do not observe a lot of exoplanets that are similar to Mercury in composition. Also, even if it is a rare event, only one impact is needed." In this sense, giant impacts could be seen as fortunate events and a reminder of how chaotic planetary systems are, Chau added. 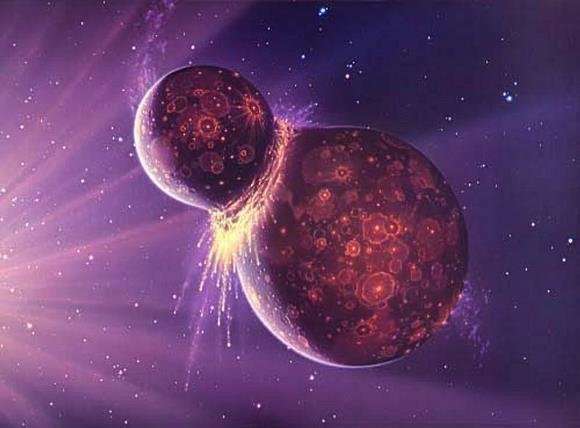 For not only do these types of collisions have a profound impact on a planet's properties (for instance, the Earth-moon system is believed to be the result of a giant impact), but based on exoplanet surveys, such instances also appear to be quite rare. Perhaps our solar system is unique in several respects, which include the emergence of life and the presence of giant impacts that fundamentally altered several of its planets. Then again, we have really only begun to scratch the surface as far as exoplanet discoveries are concerned, and we may find many Mercury-like planets out there yet.